From Nature's Sunshine - NSP - This formula is used to cleanse, detoxify and nourish the liver and provide support to the gastrointestinal tract. Formerly Known as "All Cell Detox"
From Nature's Sunshine - Prevention for tumors, fibroid cysts, breast lumps, polyps. A whole-body cellular cleanser. This anti-inflammatory, bulk laxative combination is very soothing. It helps to absorb toxins from the colon. From Nature's Sunshine - Chlorophyll builds blood, rapidly improves blood oxygenation and helps cleanse the body. 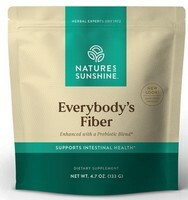 From Nature's Sunshine - NSP - Chlorophyll builds blood, rapidly improves blood oxygenation and helps cleanse the body. From Nature's Sunshine - Can be used to correct habitual use of other laxatives while gradually restoring natural colon activity. Constipation.